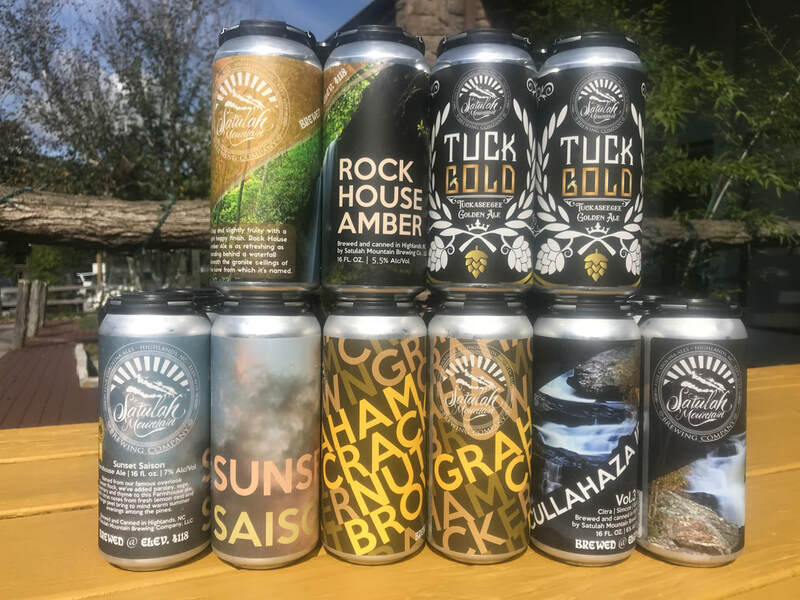 Satulah Mountain Brewing Co. beer is now available in a can! ​Check with your local WNC retailer or visit the Taproom to shop our current selection. 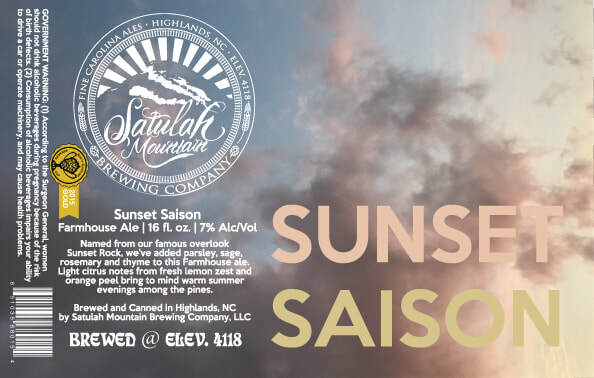 Satulah Mountain Brewing is expanding! We recently completed construction on our new 7 Bbl brewhouse in our existing location in downtown Highlands, North Carolina and we're back in production. 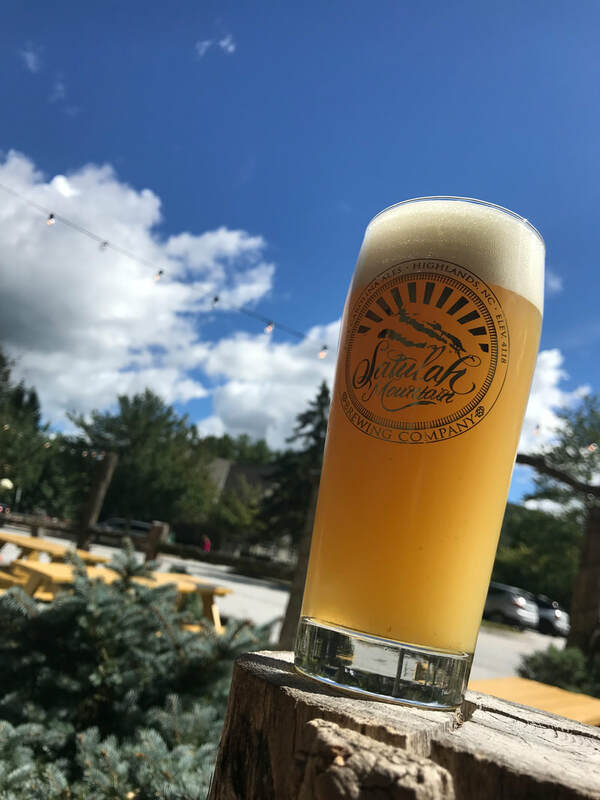 As we work on bringing you the freshest, tastiest mountaintop beer we can, we'll continue to serve guest beers from other breweries across Western North Carolina, and a handful from out-of-state breweries we think our customers will love. Be sure to visit us on Facebook and Instagram to see what's on tap. The third release in our experimental hop series featuring Citra, Galaxy and Simcoe hops. A juicy, lighter version of the original. A hazy IPA featuring El Dorado, Citra, Galaxy and Bravo hops. A hazy IPA without the sweet tooth. Named from our appreciation of the nearby headwaters of the Cullasaja River, Cullahaza IPA is an experimental series of hazy New England-style India Pale Ales. Named for our famous overlook Sunset Rock, we've added parsley, sage, rosemary and thyme to this farmhouse ale. Light citrus notes from fresh lemon zest and orange peel bring to mind warm summer evenings among the pines. It's summer in a glass! Availability: 16 oz. cans, 4 packs, local distribution. Draft sold out. Sometime between sunset and sunrise come the small hours. Our house Belgian yeast blend shines in this stripped-down brew. A local favorite is back at last! 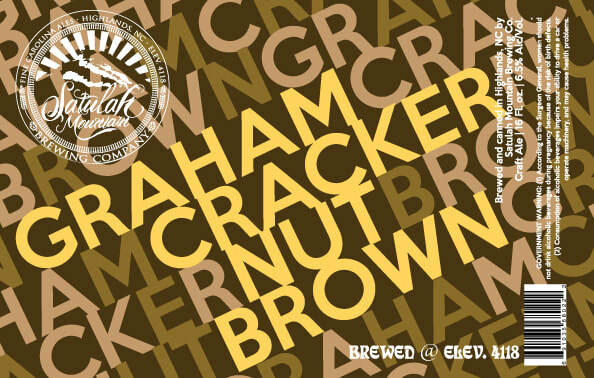 Our classic nut brown ale is dry hopped with cinnamon and vanilla. Availability: 16 oz. Draft Pours, 4 packs (16 oz. cans). SMBC Taproom only.